2 Bedroom Flat For Sale in Rochester for £330,000. This stunning property is located on the popular Esplanade in Rochester. Situated on the first floor with accessible lift and two alloacted parking spaces. 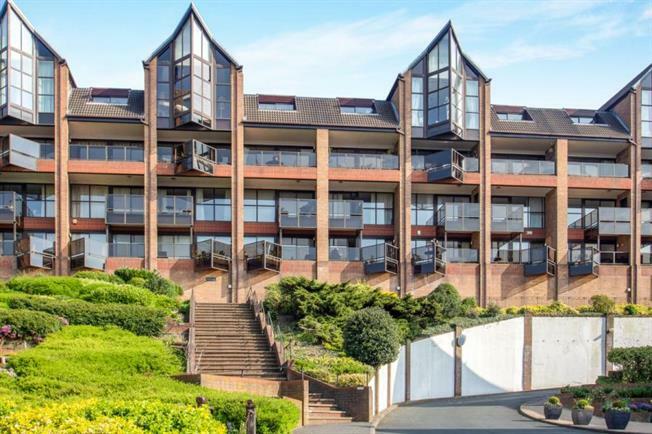 With floor to ceiling windows providing views over the river Medway this spacious apartment comprises of; Spacious hallway leading to the well presented kitchen with space for several appliances, there is an impressive open plan lounge/dining room offering plenty of space. There are two double bedrooms, master with en-suite and patio doors leading to the balcony. This property must be viewed to be fully appreciated. Call now to arrange a viewing at your earliest convenience to avoid missing out.